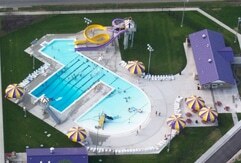 Visitors from all over the surrounding areas are welcome to join the Eagle Grove Aquatic Center this summer for some fun in the sun. 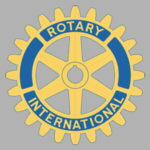 Membership passes are available. 278 acres located four miles south of Eagle Grove and 1/2 mile east of the Troy Rest Area, is a river corridor which includes an oak and hickory forest, open grassland, floodplain forest, and newly-seeded prairie. 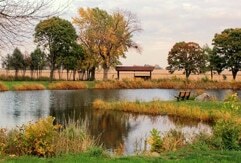 See Wright County wildlife, go fishing, canoeing, also open for hunting/trapping. One-acre roadside park three miles south of Eagle Grove on Highway 17, has access to the Boone River and can be used for fishing and canoeing. Three large state-owned lake areas are within the borders of Wright County, which the county conservation employees maintain. 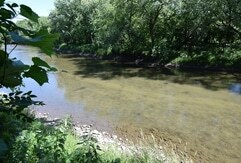 The Three Rivers Trail, just northwest of Eagle Grove, travels along the West Fork of the Des Moines River. 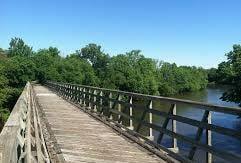 The historic trail offers visitors miles of uninterrupted woodlands, marshes, river valleys and open prairies. The trail is 33 miles long. Three Rivers Trail can be used for hiking, nature viewing, biking, cross-country skiing, and snowmobiling. 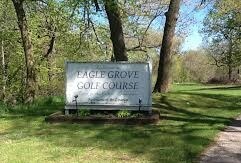 Sixty camping spaces are available at the Wright County Fairgrounds (all sites have electricity, no water hook-ups, but water is available on the fairgrounds) in Eagle Grove, just east of Greenwood Park. Camp spots are booked during the fair dates, but other times during the summer they are open for booking. Consider renting spaces for family reunions, class reunions, as well as camping opportunities. 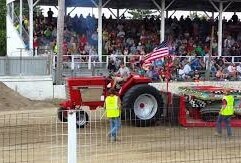 Adjacent to the Wright County Fairgrounds. 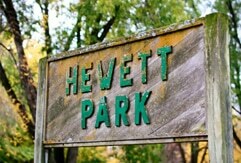 One of the most used parks in the county is located on a 31-acre campus in east Eagle Grove. 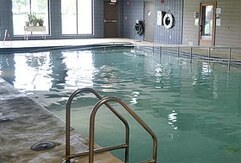 It houses the newer Family Aquatic Center, the skateboard park, four softball/baseball diamonds, and the Wright County Fairgrounds, two basketball hoops, playground equipment, grills, restrooms, shelters, and camper facilities. Located in the middle of town at the 600 block of SW Second Street, has two newly-remodeled tennis courts, four basketball hoops, playground equipment, restrooms, shelter, and grills. 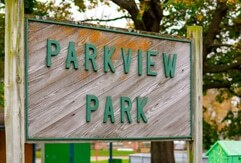 Located on Parkview Drive in southeast Eagle Grove, has four basketball hoops, playground equipment, and a small picnic shelter. 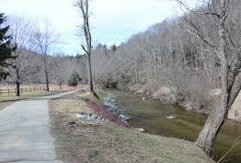 Located in a beautiful area in northeast Eagle Grove, has as its main attraction a fishing hole which used to be the town’s swimming pool. 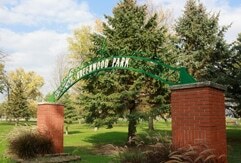 The park also has playground equipment, basketball court, and two shelters. 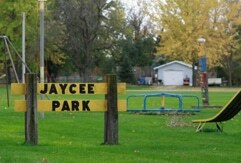 Playground equipment on S. Eastern Avenue. 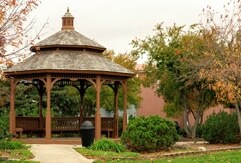 Located on the corner of SW 2nd Street and Cedar Avenue, is a very unique park, consisting of a small gazebo with a flowing well inside of it. A great stop for a fresh well-water drink. 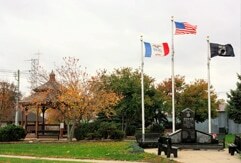 Located in the 200 block of West Broadway, was constructed in 2000 with donated funds and sponsored by the Eagle Grove Chamber of Commerce. This park offers a scenic display of flowers, shrubs, and vegetation in the central business district; it hosts a variety of community events. 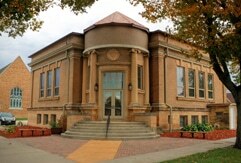 Eagle Grove’s Carnegie Library is the home of the Eagle Grove Historical Museum. Built in 1903, the museum is on the National Register of Historic Places. Work on the museum has continued for a number of years and is ready for visitors to enjoy. For information regarding the museum, contact Joe Halverson at 1 515-448-4475.
or need therapy – The Wellness Center can help shape the new you.